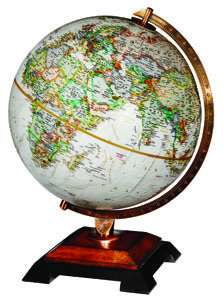 With care, most globes can last a life-time. Globes are coated to protect the orb. Dust can be removed easily with a dry cloth. A damp cloth may be used to remove marks. A mild non-abrasive cleaner can be used for more stubborn marks. 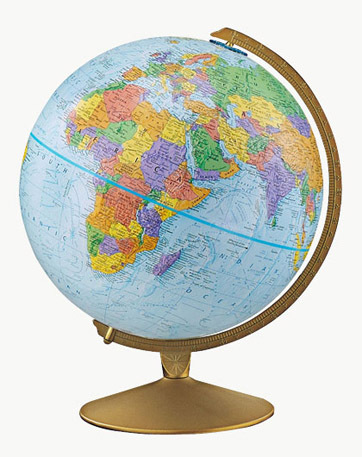 Cleaners containing alcohol or strong solvents can remove the colour or text from your globe's surface.